Loring’s Division (Lt. Gen. A.P. Stewart’s Corps) lost (killed) 334 men at Franklin. Gen Scott lost 126. Featherston lost 68, and Adams lost 43. 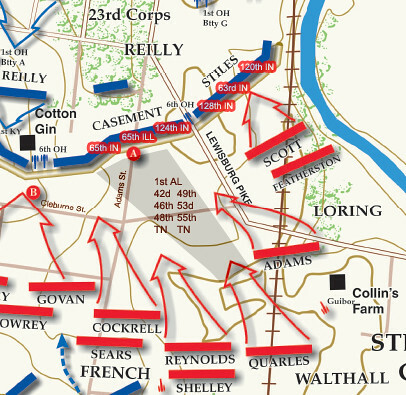 Loring’s Division marched across what is now known as the Eastern Flank part of the Franklin battlefield, traversing the McGavock farm. What these men hardly knew was that they literally walked across ground upon which so many of them would be buried following the battle. 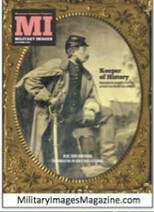 The 33rd Mississippi Infantry, Company K, lost at least six known, and perhaps several more buried in now unknown plots. 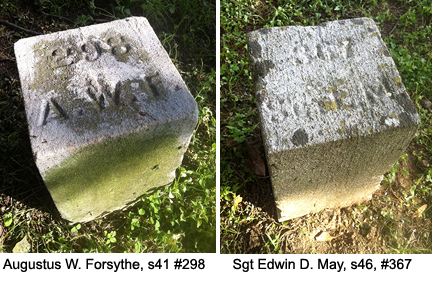 Here are pictures of the markers of identified 33rd MS, Company K men buried at McGavock. See: Jacobson (For Cause: p. 322. Also: OR 45, pt. 1, p. 322, 331, 338, 430. As you can see from the map below, Featherston’s men faced the Hoosier boys from Stiles’s Brigade on the far left Union flank. Historian Eric Jacobson talks about Loring’s advance at the Battle of Franklin. 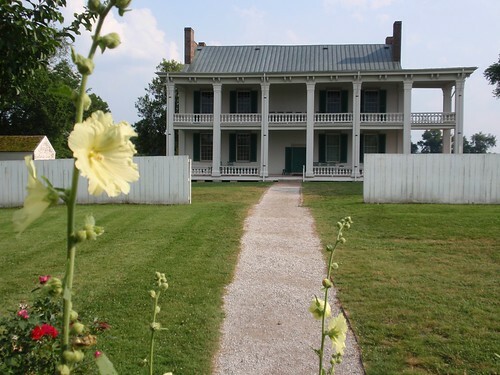 John and Carrie McGavock owned the Carnton plantation or farm in Franklin, Tennessee, at the time of the Battle of Franklin. Carnton guide, historian and best-selling author, Michelle Place, tells us about the McGavocks and their farm, circa 1860s. The McGavock home – Carnton – in Franklin, Tennessee. 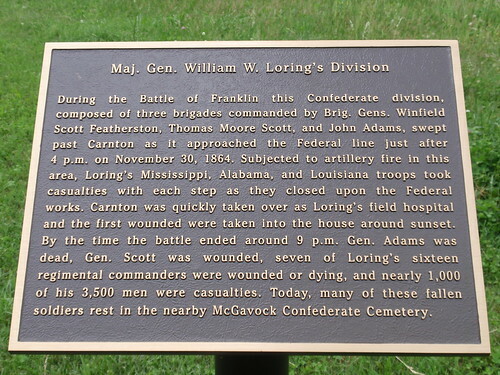 Read about the dedication of the marker to Loring’s Division on the Eastern flank in June 2008. 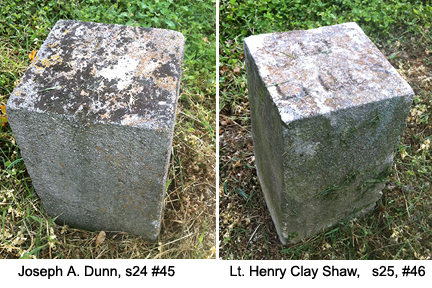 What is the McGavock Confederate Cemetery and why is it important? At least 2,000 men were killed at Franklin, in just five hours. The South suffered 60-70 percent of the casualties. About 1,750 of the killed were on the Confederate side. Around 200 Union soldiers died. The percentage of men killed at Franklin-compared to the number of total men engaged– ranks as one of the highest kill-rates of any Civil War battle, far bloodier than even Gettysburg. But for now appreciate this fact. The terrified residents of Franklin woke up the next morning—for those that could sleep– to a ghastly sight near their beloved town. Thousands of Confederate soldiers were lying on the cold ground. Many had died in the night from bleeding to death or from the sub-zero temperatures. Making it even worse was the fact that a couple hundred of these men claimed Tennessee as their native soil. Soil that would soon serve as a blanket for eternity for these brave soldiers, some just boys. Farmers like James McNutt and Fountain Branch Carter must have been impacted for years afterwards. Their farms served as temporary cemeteries for the soldiers immediately after the battle. The Union army, whose objective was always to make it to Nashville and not fight at Franklin, evacuated during the late night of November 30th, leaving scores of their wounded and dying on the ground as well. Before they left they hastily buried as many of their own dead as they could. By the afternoon of December 1st, 1864, hundreds of wounded Confederates had already been evacuated to local field-hospitals like Carnton, and in other homes of Franklin citizens. Local churches like St. Paul’s Episcopal, pictured right, were also used to care for the wounded and dying. Since John Bell Hood did not have much time, and he wanted to pursue Schofield’s army north, he detached some burial teams to take care of burying the hundreds of fallen Confederates at Franklin. The burial teams had much work to do and it had to be done quickly. All of the Confederate dead were identified as best they could be, by name, state, rank, and regiment. They were then placed in long rows, usually by twos, in shallow two to three foot deep graves along the main line of entrenchments. The soldiers were given wooden markers to notate their identities. 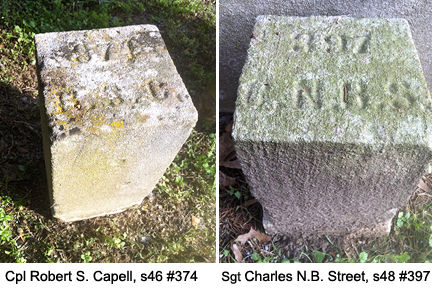 A Union soldier passing by two weeks later remarked that he counted over 1,700 Confederate graves. About a year later the condition of the graves were already in poor condition. The wooden markers, now enduring their second winter, were being used for firewood and hogs and wild animals were disturbing the graves. As one might imagine, this situation was unacceptable as a permanent solution to the final resting place for the Confederate dead. So, Col. John McGavock, and his wife Carrie, graciously donated about two acres of their farm land at Carnton to be used as a permanent cemetery for the fallen Confederates at Franklin. The challenge now would be getting the hastily buried soldiers on the battlefield moved from where they were originally interred to the new cemetery at Carnton. In an ironic twist of fate, Carnton comes from the Gaelic word ‘Cairn’. It means a “pile of memorial stones” used to honor fallen heroes. Bids were solicited for the reburial work and a man by the name of George Cuppett, a veteran Confederate soldier with the 8th Texas Cavalry, was awarded the job to rebury the soldier-dead at a price of $5.00 per man. He had a small team helping him, including his brother Marcellus. The burial team worked for about ten weeks, from April until June 1866, reburying the dead. They took great care to keep as many of the men identified as possible. George Cuppett started a ‘book of the dead’ in which the names and information on each soldier were carefully recorded. The book would be handed over to Carrie McGavock who kept it for over 40 years. Many family members of the soldiers buried at McGavock would correspond with Carrie through the following decades to gain information about their loved ones. For many years after the battle, people would travel from various southern States to Franklin in order to visit their loved-one’s grave and to personally meet Carrie McGavock. Some would return year after year. One of the sadder stories related to this reburial process is that George Cuppett’s younger brother, Marcellus, who was helping with the reburials, mysteriously died during the reburial project. The McGavocks allowed him to be buried in the same cemetery. He was buried with the Texas soldiers. Marcellus Cuppett is the only civilian buried in McGavock Confederate Cemetery. The cemetery has remained in private hands since 1866. An annual memorial service is held the first Sunday in June to honor the brave Southern soldiers. A local Boy Scout troop places flags next to each marker to honor their sacrifice. 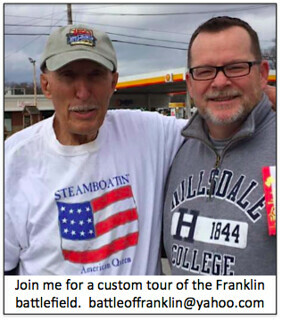 If you come to Franklin make sure Carnton is on your list of stops. Plan at least one hour for the house tour and an additional 20-40 minutes to walk through the cemetery. This guidebook is a valuable resource for your self-guided tour through the cemetery.